Ever wondered who takes a PhD at IESE? From this month, there’s no longer any need to speculate. That’s because we have just launched a new PhD website that puts the focus firmly on students. The new site features a wealth of information about the PhD program, from admission requisites through research areas and electives. And for the first time, a section devoted entirely to the student body puts the spotlight on a new generation of world-class scholars. Students backgrounds, research interests and publications are showcased on an individual basis, giving deep insight into the caliber, professionalism and diversity of research that constitutes the doctoral student body at IESE. And the site functions as a repository for talent. Our Students on the Market section is a comprehensive catalogue of emerging scholars looking to pursue a career in research and teaching at leading schools and universities. The new PhD site has been organized to reduce complexity and provide users with information fast. 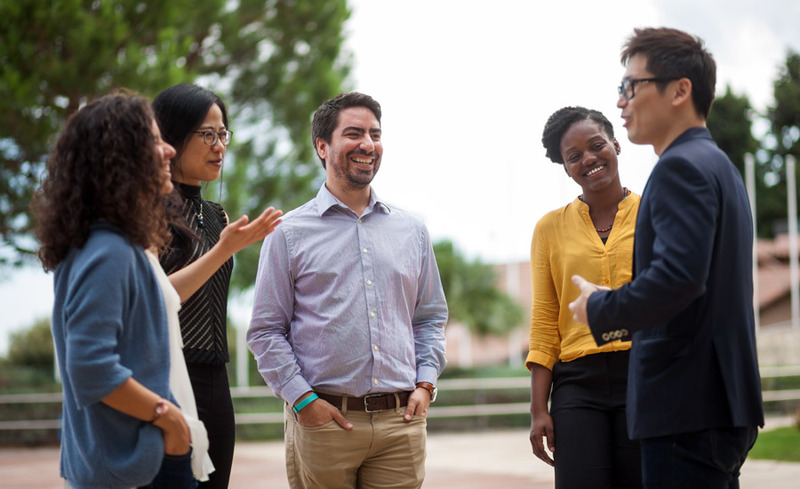 The IESE Difference sets out the principal tenets of the IESE learning experience from closeness to faculty, global business and core IESE values. The Program provides a clear and detailed overview of the study areas, program structure and learning mechanisms. Admissions walks you through the application process, digging deep into the requisites, competencies and experience that you will need to bring. Students puts the focus on our scholars themselves. Living the IESE PhD explores the different facets of life as a doctoral student in Barcelona, while showcasing the myriad support services and opportunities open to anyone considering taking their PhD at IESE. When you opt for a PhD at IESE, you pass through two distinct phases. The Master of Research in Management (MRM), a taught element, equips you with the quantitative and qualitative research skills you need to go on to the dissertation stage. This focus on research skills is a fundamental part of the IESE experience, says ProfessorChristoph Zott, academic director of the program. Our primary goal is to help you prepare for a career in academia. And the best way to do this is to train you as world-class researchers. It’s only when you understand the craft of research that you can really aim for success as a professor in one of the leading universities in this world. IESE reaches out to intellectual students, says Zott, who are passionate about their academic work. Number one, we are looking for people with a passion for research and a passion for sharing knowledge with others. Passion is one thing. But relevance is also fundamental. Ensuring that your research digs into the most relevant trends and emerging concepts in the global business panorama means staying close to business itself. And here too, says Zott, IESE’s unique global scope and reach comes into positive play. We have campuses, rich in resources and data, that span several continents across Europe, North and South America and our PhD students have access to all of this. You are able to leverage our excellent connections to senior executives and to countless businesses and organizations all over the world which serve as a forum for your research. While the big picture, or global perspective is key, Zott believes that part of the success of the PhD program hinges on its personal approach; one that he says puts you at the center of the program, so that you are supported, mentored and encouraged to develop as a scholar.